Recent Arrival! The ALL NEW Honda of Downtown Chicago is Proud to offer you this Exceptional 2019 Honda Odyssey, Appointed with the LX Trim and is finished in Modern Steel Metallic over Gray w/Cloth Seat Trim inside. Highlight features include Alloy wheels, Brake assist, Delay-off headlights, Exterior Parking Camera Rear, Radio: 160-Watt AM/FM Audio System w/7 Speakers, and Remote keyless entry. 2019 Honda Odyssey LX Modern Steel Metallic 9-Speed Automatic 3.5L V6 SOHC i-VTEC 24V FWD 19/28 City/Highway MPG Welcome to the ALL NEW Honda of Downtown Chicago. We are happy to now be serving Chicago and its surrounding areas. Honda of Downtown Chicago is here to help you find the car to fit your needs. Whether it be the new Honda you have always dreamed of or the perfect car for you to commute to work and fits your family’s lifestyle. We focus on exceptional customer service because once you walk in the doors you are part of our family. Honda of Downtown Chicago also has an outstanding Service Center. For any maintenance needs, large or small, we have the best team to get you back on the road quickly and safe. You can also take advantage of a complimentary Uber while your car is being serviced to continue on with your busy day. Stop by Honda of Downtown Chicago today and let us welcome you into our family. Recent Arrival! The ALL NEW Honda of Downtown Chicago is Proud to offer you this Exceptional 2019 Honda Ridgeline, Appointed with the RTL Trim and is finished in White Diamond Pearl over Black w/Leather Seat Trim inside. Highlight features include 7 Speakers, Alloy wheels, Bluetooth® Hands-Free Link, Brake assist, Delay-off headlights, Exterior Parking Camera Rear, Front fog lights, Fully automatic headlights, Power moonroof, Radio data system, Radio: AM/FM/MP3, and Remote keyless entry. 2019 Honda Ridgeline RTL White Diamond Pearl 6-Speed Automatic 3.5L V6 SOHC i-VTEC 24V AWD Factory MSRP: $37,765 $3,157 off MSRP! Welcome to the ALL NEW Honda of Downtown Chicago. We are happy to now be serving Chicago and its surrounding areas. Honda of Downtown Chicago is here to help you find the car to fit your needs. Whether it be the new Honda you have always dreamed of or the perfect car for you to commute to work and fits your family’s lifestyle. We focus on exceptional customer service because once you walk in the doors you are part of our family. Honda of Downtown Chicago also has an outstanding Service Center. For any maintenance needs, large or small, we have the best team to get you back on the road quickly and safe. You can also take advantage of a complimentary Uber while your car is being serviced to continue on with your busy day. Stop by Honda of Downtown Chicago today and let us welcome you into our family. Recent Arrival! The ALL NEW Honda of Downtown Chicago is Proud to offer you this Exceptional 2019 Honda Ridgeline, Appointed with the RTL Trim and is finished in Modern Steel Metallic over Black w/Leather Seat Trim inside. Highlight features include 7 Speakers, Alloy wheels, Bluetooth® Hands-Free Link, Brake assist, Delay-off headlights, Exterior Parking Camera Rear, Front fog lights, Fully automatic headlights, Power moonroof, Radio data system, Radio: AM/FM/MP3, Remote keyless entry, and Speed control. 2019 Honda Ridgeline RTL Modern Steel Metallic 6-Speed Automatic 3.5L V6 SOHC i-VTEC 24V AWD Factory MSRP: $37,765 $3,157 off MSRP! Welcome to the ALL NEW Honda of Downtown Chicago. We are happy to now be serving Chicago and its surrounding areas. Honda of Downtown Chicago is here to help you find the car to fit your needs. Whether it be the new Honda you have always dreamed of or the perfect car for you to commute to work and fits your family’s lifestyle. We focus on exceptional customer service because once you walk in the doors you are part of our family. Honda of Downtown Chicago also has an outstanding Service Center. For any maintenance needs, large or small, we have the best team to get you back on the road quickly and safe. You can also take advantage of a complimentary Uber while your car is being serviced to continue on with your busy day. Stop by Honda of Downtown Chicago today and let us welcome you into our family. Recent Arrival! The ALL NEW Honda of Downtown Chicago is Proud to offer you this Exceptional 2019 Honda Odyssey, Appointed with the EX-L Trim and is finished in White Diamond Pearl over Mocha w/Leather Seat Trim inside. Highlight features include 7 Speakers, A/V remote: CabinControl, Auto High-beam Headlights, Blind spot sensor: Blind Spot Information (BSI) System warning, Brake assist, Delay-off headlights, Distance-Pacing Cruise Control, Exterior Parking Camera Rear, Front fog lights, Fully automatic headlights, Memory seat, Power Liftgate, Power moonroof, Radio: 160-Watt AM/FM/HD/SiriusXM Audio System, Remote keyless entry, Speed control, and Wheels: 18" Dark Silver-Painted Alloy. 2019 Honda Odyssey EX-L White Diamond Pearl 9-Speed Automatic 3.5L V6 SOHC i-VTEC 24V FWD Factory MSRP: $38,605 $1,000 off MSRP! 28/19 Highway/City MPG** Welcome to the ALL NEW Honda of Downtown Chicago. We are happy to now be serving Chicago and its surrounding areas. Honda of Downtown Chicago is here to help you find the car to fit your needs. Whether it be the new Honda you have always dreamed of or the perfect car for you to commute to work and fits your family’s lifestyle. We focus on exceptional customer service because once you walk in the doors you are part of our family. Honda of Downtown Chicago also has an outstanding Service Center. For any maintenance needs, large or small, we have the best team to get you back on the road quickly and safe. You can also take advantage of a complimentary Uber while your car is being serviced to continue on with your busy day. Stop by Honda of Downtown Chicago today and let us welcome you into our family. Recent Arrival! The ALL NEW Honda of Downtown Chicago is Proud to offer you this Exceptional 2019 Honda Odyssey, Appointed with the EX-L Trim and is finished in Deep Scarlet Pearl over Beige w/Leather Seat Trim inside. Highlight features include 7 Speakers, A/V remote: CabinControl, Auto High-beam Headlights, Blind spot sensor: Blind Spot Information (BSI) System warning, Brake assist, Delay-off headlights, Distance-Pacing Cruise Control, Exterior Parking Camera Rear, Front fog lights, Fully automatic headlights, Memory seat, Power Liftgate, Power moonroof, Radio data system, Radio: 160-Watt AM/FM/HD/SiriusXM Audio System, Remote keyless entry, Speed control, and Wheels: 18" Dark Silver-Painted Alloy. 2019 Honda Odyssey EX-L Deep Scarlet Pearl 9-Speed Automatic 3.5L V6 SOHC i-VTEC 24V FWD Factory MSRP: $38,755 $3,239 off MSRP! 19/28 City/Highway MPG Welcome to the ALL NEW Honda of Downtown Chicago. We are happy to now be serving Chicago and its surrounding areas. Honda of Downtown Chicago is here to help you find the car to fit your needs. Whether it be the new Honda you have always dreamed of or the perfect car for you to commute to work and fits your family’s lifestyle. We focus on exceptional customer service because once you walk in the doors you are part of our family. Honda of Downtown Chicago also has an outstanding Service Center. For any maintenance needs, large or small, we have the best team to get you back on the road quickly and safe. You can also take advantage of a complimentary Uber while your car is being serviced to continue on with your busy day. Stop by Honda of Downtown Chicago today and let us welcome you into our family. Recent Arrival! The ALL NEW Honda of Downtown Chicago is Proud to offer you this Exceptional 2019 Honda Odyssey, Appointed with the EX-L Trim and is finished in Obsidian Blue Pearl over Gray w/Leather Seat Trim inside. Highlight features include 7 Speakers, A/V remote: CabinControl, AM/FM radio: SiriusXM, Auto High-beam Headlights, Blind spot sensor: Blind Spot Information (BSI) System warning, Brake assist, Delay-off headlights, Distance-Pacing Cruise Control, Exterior Parking Camera Rear, Front fog lights, Fully automatic headlights, Memory seat, Power Liftgate, Power moonroof, Radio data system, Radio: 160-Watt AM/FM/HD/SiriusXM Audio System, Remote keyless entry, Speed control, and Wheels: 18" Dark Silver-Painted Alloy. 2019 Honda Odyssey EX-L Obsidian Blue Pearl 9-Speed Automatic 3.5L V6 SOHC i-VTEC 24V FWD Factory MSRP: $38,755 $3,239 off MSRP! 19/28 City/Highway MPG Welcome to the ALL NEW Honda of Downtown Chicago. We are happy to now be serving Chicago and its surrounding areas. Honda of Downtown Chicago is here to help you find the car to fit your needs. Whether it be the new Honda you have always dreamed of or the perfect car for you to commute to work and fits your family’s lifestyle. We focus on exceptional customer service because once you walk in the doors you are part of our family. Honda of Downtown Chicago also has an outstanding Service Center. For any maintenance needs, large or small, we have the best team to get you back on the road quickly and safe. You can also take advantage of a complimentary Uber while your car is being serviced to continue on with your busy day. Stop by Honda of Downtown Chicago today and let us welcome you into our family. Recent Arrival! The ALL NEW Honda of Downtown Chicago is Proud to offer you this Exceptional 2019 Honda Odyssey, Appointed with the EX-L Trim and is finished in Modern Steel Metallic over Gray w/Leather Seat Trim inside. Highlight features include 7 Speakers, A/V remote: CabinControl, Auto High-beam Headlights, Blind spot sensor: Blind Spot Information (BSI) System warning, Brake assist, Delay-off headlights, Distance-Pacing Cruise Control, Exterior Parking Camera Rear, Front fog lights, Fully automatic headlights, Memory seat, Power Liftgate, Power moonroof, Radio data system, Radio: 160-Watt AM/FM/HD/SiriusXM Audio System, Remote keyless entry, Speed control, and Wheels: 18" Dark Silver-Painted Alloy. 2019 Honda Odyssey EX-L Modern Steel Metallic 9-Speed Automatic 3.5L V6 SOHC i-VTEC 24V FWD Factory MSRP: $38,755 $3,239 off MSRP! 19/28 City/Highway MPG Welcome to the ALL NEW Honda of Downtown Chicago. We are happy to now be serving Chicago and its surrounding areas. 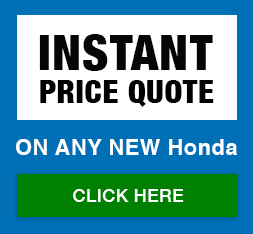 Honda of Downtown Chicago is here to help you find the car to fit your needs. Whether it be the new Honda you have always dreamed of or the perfect car for you to commute to work and fits your family’s lifestyle. We focus on exceptional customer service because once you walk in the doors you are part of our family. Honda of Downtown Chicago also has an outstanding Service Center. For any maintenance needs, large or small, we have the best team to get you back on the road quickly and safe. You can also take advantage of a complimentary Uber while your car is being serviced to continue on with your busy day. Stop by Honda of Downtown Chicago today and let us welcome you into our family. Recent Arrival! The ALL NEW Honda of Downtown Chicago is Proud to offer you this Exceptional 2019 Honda Odyssey, Appointed with the EX-L Trim and is finished in White Diamond Pearl over Mocha w/Leather Seat Trim inside. Highlight features include 7 Speakers, A/V remote: CabinControl, Auto High-beam Headlights, Blind spot sensor: Blind Spot Information (BSI) System warning, Brake assist, Delay-off headlights, Distance-Pacing Cruise Control, Exterior Parking Camera Rear, Front fog lights, Fully automatic headlights, Memory seat, Power Liftgate, Power moonroof, Radio data system, Radio: 160-Watt AM/FM/HD/SiriusXM Audio System, Remote keyless entry, Speed control, and Wheels: 18" Dark Silver-Painted Alloy. 2019 Honda Odyssey EX-L White Diamond Pearl 9-Speed Automatic 3.5L V6 SOHC i-VTEC 24V FWD Factory MSRP: $38,755 $3,239 off MSRP! 19/28 City/Highway MPG Welcome to the ALL NEW Honda of Downtown Chicago. We are happy to now be serving Chicago and its surrounding areas. Honda of Downtown Chicago is here to help you find the car to fit your needs. Whether it be the new Honda you have always dreamed of or the perfect car for you to commute to work and fits your family’s lifestyle. We focus on exceptional customer service because once you walk in the doors you are part of our family. Honda of Downtown Chicago also has an outstanding Service Center. For any maintenance needs, large or small, we have the best team to get you back on the road quickly and safe. You can also take advantage of a complimentary Uber while your car is being serviced to continue on with your busy day. Stop by Honda of Downtown Chicago today and let us welcome you into our family. Recent Arrival! The ALL NEW Honda of Downtown Chicago is Proud to offer you this Exceptional 2019 Honda Odyssey, Appointed with the EX-L Trim and is finished in White Diamond Pearl over Mocha w/Leather Seat Trim inside. Highlight features include 7 Speakers, A/V remote: CabinControl, AM/FM radio: SiriusXM, Auto High-beam Headlights, Blind spot sensor: Blind Spot Information (BSI) System warning, Brake assist, Delay-off headlights, Distance-Pacing Cruise Control, Exterior Parking Camera Rear, Front fog lights, Fully automatic headlights, Memory seat, Power Liftgate, Power moonroof, Radio: 160-Watt AM/FM/HD/SiriusXM Audio System, Remote keyless entry, Speed control, and Wheels: 18" Dark Silver-Painted Alloy. 2019 Honda Odyssey EX-L White Diamond Pearl 9-Speed Automatic 3.5L V6 SOHC i-VTEC 24V FWD Factory MSRP: $40,755 $3,415 off MSRP! 19/28 City/Highway MPG Welcome to the ALL NEW Honda of Downtown Chicago. We are happy to now be serving Chicago and its surrounding areas. Honda of Downtown Chicago is here to help you find the car to fit your needs. Whether it be the new Honda you have always dreamed of or the perfect car for you to commute to work and fits your family’s lifestyle. We focus on exceptional customer service because once you walk in the doors you are part of our family. Honda of Downtown Chicago also has an outstanding Service Center. For any maintenance needs, large or small, we have the best team to get you back on the road quickly and safe. You can also take advantage of a complimentary Uber while your car is being serviced to continue on with your busy day. Stop by Honda of Downtown Chicago today and let us welcome you into our family. Recent Arrival! The ALL NEW Honda of Downtown Chicago is Proud to offer you this Exceptional 2019 Honda Odyssey, Appointed with the EX-L Trim and is finished in White Diamond Pearl over Mocha w/Leather Seat Trim inside. Highlight features include 7 Speakers, Auto High-beam Headlights, Blind spot sensor: Blind Spot Information (BSI) System warning, Brake assist, Delay-off headlights, Distance-Pacing Cruise Control, Exterior Parking Camera Rear, Front fog lights, Fully automatic headlights, Memory seat, Power Liftgate, Power moonroof, Radio data system, Radio: 160-Watt AM/FM/HD/SiriusXM Audio System, Remote keyless entry, Speed control, and Wheels: 18" Dark Silver-Painted Alloy. 2019 Honda Odyssey EX-L White Diamond Pearl 9-Speed Automatic 3.5L V6 SOHC i-VTEC 24V FWD Factory MSRP: $40,755 $3,415 off MSRP! 19/28 City/Highway MPG Welcome to the ALL NEW Honda of Downtown Chicago. We are happy to now be serving Chicago and its surrounding areas. Honda of Downtown Chicago is here to help you find the car to fit your needs. Whether it be the new Honda you have always dreamed of or the perfect car for you to commute to work and fits your family’s lifestyle. We focus on exceptional customer service because once you walk in the doors you are part of our family. Honda of Downtown Chicago also has an outstanding Service Center. For any maintenance needs, large or small, we have the best team to get you back on the road quickly and safe. You can also take advantage of a complimentary Uber while your car is being serviced to continue on with your busy day. Stop by Honda of Downtown Chicago today and let us welcome you into our family. Recent Arrival! The ALL NEW Honda of Downtown Chicago is Proud to offer you this Exceptional 2019 Honda Odyssey, Appointed with the EX-L Trim and is finished in Pacific Pewter Metallic over Mocha w/Leather Seat Trim inside. Highlight features include 7 Speakers, A/V remote: CabinControl, Auto High-beam Headlights, Blind spot sensor: Blind Spot Information (BSI) System warning, Brake assist, Delay-off headlights, Distance-Pacing Cruise Control, Exterior Parking Camera Rear, Front fog lights, Fully automatic headlights, Memory seat, Power Liftgate, Power moonroof, Radio data system, Radio: 160-Watt AM/FM/HD/SiriusXM Audio System, Remote keyless entry, Speed control, and Wheels: 18" Dark Silver-Painted Alloy. 2019 Honda Odyssey EX-L Pacific Pewter Metallic 9-Speed Automatic 3.5L V6 SOHC i-VTEC 24V FWD Factory MSRP: $40,755 $3,414 off MSRP! 19/28 City/Highway MPG Welcome to the ALL NEW Honda of Downtown Chicago. We are happy to now be serving Chicago and its surrounding areas. Honda of Downtown Chicago is here to help you find the car to fit your needs. Whether it be the new Honda you have always dreamed of or the perfect car for you to commute to work and fits your family’s lifestyle. We focus on exceptional customer service because once you walk in the doors you are part of our family. Honda of Downtown Chicago also has an outstanding Service Center. For any maintenance needs, large or small, we have the best team to get you back on the road quickly and safe. You can also take advantage of a complimentary Uber while your car is being serviced to continue on with your busy day. Stop by Honda of Downtown Chicago today and let us welcome you into our family. Recent Arrival! The ALL NEW Honda of Downtown Chicago is Proud to offer you this Exceptional 2019 Honda Odyssey, Appointed with the EX-L Trim and is finished in Crystal Black Pearl over Mocha w/Leather Seat Trim inside. Highlight features include 7 Speakers, A/V remote: CabinControl, AM/FM radio: SiriusXM, Auto High-beam Headlights, Blind spot sensor: Blind Spot Information (BSI) System warning, Brake assist, Delay-off headlights, Distance-Pacing Cruise Control, Exterior Parking Camera Rear, Front fog lights, Fully automatic headlights, Memory seat, Power Liftgate, Power moonroof, Radio data system, Radio: 160-Watt AM/FM/HD/SiriusXM Audio System, Remote keyless entry, Speed control, and Wheels: 18" Dark Silver-Painted Alloy. 2019 Honda Odyssey EX-L Crystal Black Pearl 9-Speed Automatic 3.5L V6 SOHC i-VTEC 24V FWD Factory MSRP: $40,755 $3,415 off MSRP! 19/28 City/Highway MPG Welcome to the ALL NEW Honda of Downtown Chicago. We are happy to now be serving Chicago and its surrounding areas. Honda of Downtown Chicago is here to help you find the car to fit your needs. Whether it be the new Honda you have always dreamed of or the perfect car for you to commute to work and fits your family’s lifestyle. We focus on exceptional customer service because once you walk in the doors you are part of our family. Honda of Downtown Chicago also has an outstanding Service Center. For any maintenance needs, large or small, we have the best team to get you back on the road quickly and safe. You can also take advantage of a complimentary Uber while your car is being serviced to continue on with your busy day. Stop by Honda of Downtown Chicago today and let us welcome you into our family. Recent Arrival! The ALL NEW Honda of Downtown Chicago is Proud to offer you this Exceptional 2019 Honda Odyssey, Appointed with the EX-L Trim and is finished in Modern Steel Metallic over Gray w/Leather Seat Trim inside. Highlight features include 7 Speakers, A/V remote: CabinControl, Auto High-beam Headlights, Blind spot sensor: Blind Spot Information (BSI) System warning, Brake assist, Delay-off headlights, Distance-Pacing Cruise Control, Exterior Parking Camera Rear, Front fog lights, Fully automatic headlights, Memory seat, Power Liftgate, Power moonroof, Radio data system, Radio: 160-Watt AM/FM/HD/SiriusXM Audio System, Remote keyless entry, Speed control, and Wheels: 18" Dark Silver-Painted Alloy. 2019 Honda Odyssey EX-L Modern Steel Metallic 9-Speed Automatic 3.5L V6 SOHC i-VTEC 24V FWD Factory MSRP: $40,755 $3,415 off MSRP! 19/28 City/Highway MPG Welcome to the ALL NEW Honda of Downtown Chicago. We are happy to now be serving Chicago and its surrounding areas. Honda of Downtown Chicago is here to help you find the car to fit your needs. Whether it be the new Honda you have always dreamed of or the perfect car for you to commute to work and fits your family’s lifestyle. We focus on exceptional customer service because once you walk in the doors you are part of our family. Honda of Downtown Chicago also has an outstanding Service Center. For any maintenance needs, large or small, we have the best team to get you back on the road quickly and safe. You can also take advantage of a complimentary Uber while your car is being serviced to continue on with your busy day. Stop by Honda of Downtown Chicago today and let us welcome you into our family. Recent Arrival! The ALL NEW Honda of Downtown Chicago is Proud to offer you this Exceptional 2019 Honda Ridgeline, Appointed with the RTL-E Trim and is finished in White Diamond Pearl over Beige w/Leather Seat Trim inside. Highlight features include 8 Speakers, AM/FM radio: SiriusXM, Auto High-beam Headlights, Blind spot sensor: Blind Spot Information (BSI) System warning, Bluetooth® Hands-Free Link, Brake assist, Delay-off headlights, Distance pacing cruise control: Adaptive Cruise Control (ACC), Exterior Parking Camera Rear, Front fog lights, Fully automatic headlights, Honda Satellite-Linked Navigation System, Navigation system: Honda Satellite-Linked Navigation System, Power moonroof, Radio: AM/FM/MP3 w/Nav System & Truck-Bed Audio, Remote keyless entry, SiriusXM Radio, Speed control, and Wheels: 18" Exclusive Machine-Finished Alloy. 2019 Honda Ridgeline RTL-E White Diamond Pearl 6-Speed Automatic 3.5L V6 SOHC i-VTEC 24V AWD Welcome to the ALL NEW Honda of Downtown Chicago. We are happy to now be serving Chicago and its surrounding areas. Honda of Downtown Chicago is here to help you find the car to fit your needs. Whether it be the new Honda you have always dreamed of or the perfect car for you to commute to work and fits your family’s lifestyle. We focus on exceptional customer service because once you walk in the doors you are part of our family. Honda of Downtown Chicago also has an outstanding Service Center. For any maintenance needs, large or small, we have the best team to get you back on the road quickly and safe. You can also take advantage of a complimentary Uber while your car is being serviced to continue on with your busy day. Stop by Honda of Downtown Chicago today and let us welcome you into our family. Recent Arrival! The ALL NEW Honda of Downtown Chicago is Proud to offer you this Exceptional 2019 Honda Ridgeline, Appointed with the RTL-E Trim and is finished in White Diamond Pearl over Beige w/Leather Seat Trim inside. Highlight features include 8 Speakers, AM/FM radio: SiriusXM, Auto High-beam Headlights, Blind spot sensor: Blind Spot Information (BSI) System warning, Bluetooth® Hands-Free Link, Brake assist, Delay-off headlights, Distance pacing cruise control: Adaptive Cruise Control (ACC), Exterior Parking Camera Rear, Front fog lights, Honda Satellite-Linked Navigation System, Memory seat, Navigation system: Honda Satellite-Linked Navigation System, Power moonroof, Radio data system, Radio: AM/FM/MP3 w/Nav System & Truck-Bed Audio, Remote keyless entry, SiriusXM Radio, Speed control, and Wheels: 18" Exclusive Machine-Finished Alloy. 2019 Honda Ridgeline RTL-E White Diamond Pearl 6-Speed Automatic 3.5L V6 SOHC i-VTEC 24V AWD Factory MSRP: $42,965 $3,609 off MSRP! Welcome to the ALL NEW Honda of Downtown Chicago. We are happy to now be serving Chicago and its surrounding areas. Honda of Downtown Chicago is here to help you find the car to fit your needs. Whether it be the new Honda you have always dreamed of or the perfect car for you to commute to work and fits your family’s lifestyle. We focus on exceptional customer service because once you walk in the doors you are part of our family. Honda of Downtown Chicago also has an outstanding Service Center. For any maintenance needs, large or small, we have the best team to get you back on the road quickly and safe. You can also take advantage of a complimentary Uber while your car is being serviced to continue on with your busy day. Stop by Honda of Downtown Chicago today and let us welcome you into our family. Recent Arrival! The ALL NEW Honda of Downtown Chicago is Proud to offer you this Exceptional 2019 Honda Odyssey, Appointed with the Touring Trim and is finished in Pacific Pewter Metallic over Mocha w/Leather Seat Trim inside. Highlight features include 7 Speakers, A/V remote: CabinControl, Alloy wheels, AM/FM radio: SiriusXM, Auto High-beam Headlights, Blind spot sensor: Blind Spot Information (BSI) System warning, Brake assist, CD player, Delay-off headlights, Distance-Pacing Cruise Control, DVD-Audio, Entertainment system, Exterior Parking Camera Rear, Front fog lights, Fully automatic headlights, Headphones, Memory seat, Navigation system: Honda Satellite-Linked Navigation System, Power Liftgate, Power moonroof, Radio data system, Radio: 160-Watt AM/FM/HD/SiriusXM Audio System, Rear audio controls, Remote keyless entry, and Speed control. 2019 Honda Odyssey Touring Pacific Pewter Metallic 10-Speed Automatic 3.5L V6 SOHC i-VTEC 24V FWD Factory MSRP: $45,805 $3,858 off MSRP! 19/28 City/Highway MPG Welcome to the ALL NEW Honda of Downtown Chicago. We are happy to now be serving Chicago and its surrounding areas. Honda of Downtown Chicago is here to help you find the car to fit your needs. Whether it be the new Honda you have always dreamed of or the perfect car for you to commute to work and fits your family’s lifestyle. We focus on exceptional customer service because once you walk in the doors you are part of our family. Honda of Downtown Chicago also has an outstanding Service Center. For any maintenance needs, large or small, we have the best team to get you back on the road quickly and safe. You can also take advantage of a complimentary Uber while your car is being serviced to continue on with your busy day. Stop by Honda of Downtown Chicago today and let us welcome you into our family. Recent Arrival! The ALL NEW Honda of Downtown Chicago is Proud to offer you this Exceptional 2019 Honda Odyssey, Appointed with the Elite Trim and is finished in Modern Steel Metallic over Gray w/Leather Seat Trim inside. Highlight features include 11 Speakers, A/V remote: CabinControl, AM/FM radio: SiriusXM, Auto High-beam Headlights, Blind spot sensor: Blind Spot Information (BSI) System warning, Brake assist, CD player, Delay-off headlights, Distance-Pacing Cruise Control, DVD-Audio, Entertainment system, Exterior Parking Camera Rear, Front fog lights, Fully automatic headlights, Headphones, Memory seat, Navigation system: Honda Satellite-Linked Navigation System, Power Liftgate, Power moonroof, Radio: 550-Watt AM/FM/HD Premium Audio System, Remote keyless entry, Speed control, and Wheels: 19" Machine-Finished Alloy. 2019 Honda Odyssey Elite Modern Steel Metallic 10-Speed Automatic 3.5L V6 SOHC i-VTEC 24V FWD Factory MSRP: $47,965 $4,053 off MSRP! 19/28 City/Highway MPG Welcome to the ALL NEW Honda of Downtown Chicago. We are happy to now be serving Chicago and its surrounding areas. Honda of Downtown Chicago is here to help you find the car to fit your needs. Whether it be the new Honda you have always dreamed of or the perfect car for you to commute to work and fits your family’s lifestyle. We focus on exceptional customer service because once you walk in the doors you are part of our family. Honda of Downtown Chicago also has an outstanding Service Center. For any maintenance needs, large or small, we have the best team to get you back on the road quickly and safe. You can also take advantage of a complimentary Uber while your car is being serviced to continue on with your busy day. Stop by Honda of Downtown Chicago today and let us welcome you into our family. Recent Arrival! The ALL NEW Honda of Downtown Chicago is Proud to offer you this Exceptional 2019 Honda Odyssey, Appointed with the Elite Trim and is finished in Crystal Black Pearl over Mocha w/Leather Seat Trim inside. Highlight features include 11 Speakers, A/V remote: CabinControl, AM/FM radio: SiriusXM, Auto High-beam Headlights, Blind spot sensor: Blind Spot Information (BSI) System warning, Brake assist, CD player, Delay-off headlights, Distance-Pacing Cruise Control, DVD-Audio, Entertainment system, Exterior Parking Camera Rear, Front fog lights, Fully automatic headlights, Headphones, Memory seat, Navigation system: Honda Satellite-Linked Navigation System, Power Liftgate, Power moonroof, Radio: 550-Watt AM/FM/HD Premium Audio System, Rear audio controls, Remote keyless entry, Speed control, and Wheels: 19" Machine-Finished Alloy. 2019 Honda Odyssey Elite Crystal Black Pearl 10-Speed Automatic 3.5L V6 SOHC i-VTEC 24V FWD Factory MSRP: $47,965 $4,053 off MSRP! 19/28 City/Highway MPG Welcome to the ALL NEW Honda of Downtown Chicago. We are happy to now be serving Chicago and its surrounding areas. Honda of Downtown Chicago is here to help you find the car to fit your needs. Whether it be the new Honda you have always dreamed of or the perfect car for you to commute to work and fits your family’s lifestyle. We focus on exceptional customer service because once you walk in the doors you are part of our family. Honda of Downtown Chicago also has an outstanding Service Center. For any maintenance needs, large or small, we have the best team to get you back on the road quickly and safe. You can also take advantage of a complimentary Uber while your car is being serviced to continue on with your busy day. Stop by Honda of Downtown Chicago today and let us welcome you into our family. Recent Arrival! The ALL NEW Honda of Downtown Chicago is Proud to offer you this Exceptional 2019 Honda Odyssey, Appointed with the Elite Trim and is finished in Modern Steel Metallic over Gray w/Leather Seat Trim inside. Highlight features include 11 Speakers, A/V remote: CabinControl, Alloy wheels, AM/FM radio: SiriusXM, Auto High-beam Headlights, Blind spot sensor: Blind Spot Information (BSI) System warning, Brake assist, CD player, Delay-off headlights, Distance-Pacing Cruise Control, DVD-Audio, Entertainment system, Exterior Parking Camera Rear, Front fog lights, Fully automatic headlights, Headphones, Memory seat, Navigation system: Honda Satellite-Linked Navigation System, Power Liftgate, Power moonroof, Radio data system, Radio: 550-Watt AM/FM/HD Premium Audio System, Rear audio controls, Remote keyless entry, and Speed control. 2019 Honda Odyssey Elite Modern Steel Metallic 10-Speed Automatic 3.5L V6 SOHC i-VTEC 24V FWD Factory MSRP: $48,115 $4,061 off MSRP! 19/28 City/Highway MPG Welcome to the ALL NEW Honda of Downtown Chicago. We are happy to now be serving Chicago and its surrounding areas. 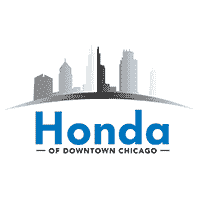 Honda of Downtown Chicago is here to help you find the car to fit your needs. Whether it be the new Honda you have always dreamed of or the perfect car for you to commute to work and fits your family’s lifestyle. We focus on exceptional customer service because once you walk in the doors you are part of our family. Honda of Downtown Chicago also has an outstanding Service Center. For any maintenance needs, large or small, we have the best team to get you back on the road quickly and safe. You can also take advantage of a complimentary Uber while your car is being serviced to continue on with your busy day. Stop by Honda of Downtown Chicago today and let us welcome you into our family. Recent Arrival! The ALL NEW Honda of Downtown Chicago is Proud to offer you this Exceptional 2019 Honda Odyssey, Appointed with the Elite Trim and is finished in Deep Scarlet Pearl over Beige w/Cloth Seat Trim inside. Highlight features include 11 Speakers, A/V remote: CabinControl, Alloy wheels, AM/FM radio: SiriusXM, Auto High-beam Headlights, Blind spot sensor: Blind Spot Information (BSI) System warning, Brake assist, CD player, Delay-off headlights, Distance-Pacing Cruise Control, DVD-Audio, Entertainment system, Exterior Parking Camera Rear, Front fog lights, Fully automatic headlights, Headphones, Memory seat, Navigation system: Honda Satellite-Linked Navigation System, Power Liftgate, Power moonroof, Radio data system, Radio: 550-Watt AM/FM/HD Premium Audio System, Rain sensing wipers, Rear audio controls, Remote keyless entry, Speed control, and Speed-Sensitive Wipers. 2019 Honda Odyssey Elite Deep Scarlet Pearl 10-Speed Automatic 3.5L V6 SOHC i-VTEC 24V FWD Factory MSRP: $48,115 $4,062 off MSRP! 19/28 City/Highway MPG Welcome to the ALL NEW Honda of Downtown Chicago. We are happy to now be serving Chicago and its surrounding areas. Honda of Downtown Chicago is here to help you find the car to fit your needs. Whether it be the new Honda you have always dreamed of or the perfect car for you to commute to work and fits your family’s lifestyle. We focus on exceptional customer service because once you walk in the doors you are part of our family. Honda of Downtown Chicago also has an outstanding Service Center. For any maintenance needs, large or small, we have the best team to get you back on the road quickly and safe. You can also take advantage of a complimentary Uber while your car is being serviced to continue on with your busy day. Stop by Honda of Downtown Chicago today and let us welcome you into our family.